Today I finish up a short series on a Nest of Saws. Using my own nest as an example of creating a small collection of multitaskers to handle all the work you need. 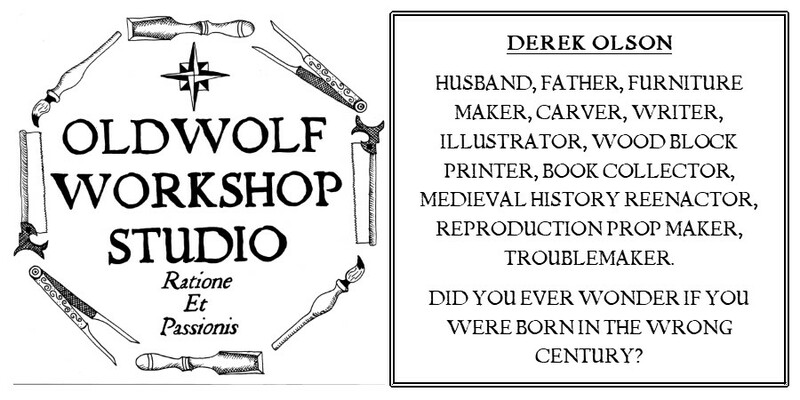 As I've said before, woodworking is a individual pursuit and your own mileage may vary. There will be links to the other posts in the series at the end. We've spoken about hand saws and back saws, now we break down into the few specialty saws I keep sharp and ready. I suppose a miter box saw can be considered alongside the back saws, but since it rarely sees use outside the miter box I'm going to call it a specialty. My Miter box saw is a Disston saw made for Goodell Pratt. It's 26" long with 11 PPI (Points Per Inch) and filed with 15 degrees of rake and 20 degrees of fleam. It has a deep plate (5 inches) and works nicely in my Stanely Miter Box. You can see the rehab of both miter box and saw HERE. Next is my cheepo coping saw. Nicholson brand I believe. I picked it up off a clearance rack at a box store a few years ago, and it's been a good friend ever since. I use it for scrolling and for sawing out the waste in my dovetails. The tension on the original was never great so I souped it up by throwing a couple of washers between the handle and the frame. I've also sanded the smooth factory finish off the handle. The weird thing is, I've managed to get my hands on a Knew Concepts Fret Saw I thought would replace this old war bird, but I just never liked it. I like the beefier coping saw blades over the wire fret saw blades and the Knew Concepts saw handle just never fit or felt right in use. I like the engineering that goes into making the frame stiff and light and the whole concept, I just couldn't efficiently use it. So, until something comes along to replace it, my old coping saw will remain in the tool box. Oh, if you were wondering, I usually set my coping saw blades to cut on the pull stroke. I consider my stair saws to be one of the few conceits in my nest. They are not multitaskers, they do one job, something that can be done with a carcass saw. Cut a sidewall for a dado or rabbet. But they do it so well and efficiently and they look so cool. . . what can I say, a guy should be allowed a little conceit. I have two (more conceit) The one on the right is an unmarked vintage model (I believe it's Disston though). The blade is 7 PPI and crosscut. I've had it for a few years and I just haven't gotten around to cleaning it up and sharpening it, probably because the one on the left works well when I need it. Stair saws are a great addition to your nest. Vintage ones are tough to come by so I suggest heading over to Two Guys In A Garage website, where they offer kits to build your own. I keep threatening to buy one myself. The last specialty saw I keep in my woodworking tool box is a hacksaw. If you're following links in this post you'll read some nasty things I had to say about hacksaws when I was writing about building a stair saw. What can I say, I was having a day. It's kind of weird to mention it along with woodworking tools, but it's just the ticket for modifying hardware, sawing brass pins to length and other small metal working jobs that pop up. Find a simple one that tensions well and don't be scared to replace the blade often. 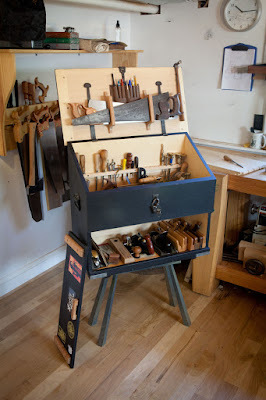 Photo from Tools For Working Wood website. The final specialty saw isn't in my tool box yet. It's going to be a veneer saw. My current project has pushed back my exploration into veneer, marquetry, and inlay for now but when the clock circles around again I will be in the market again. When that happens I will most likely head over to Tools For Working Wood and pick up a Gramercy Veneer Saw. That wraps up my thoughts on the saws I have. 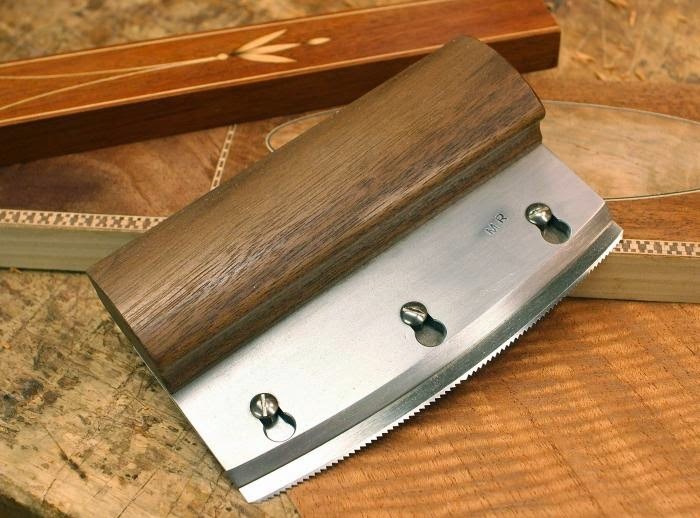 use, and will get and the concept of trying to get the most out of a few good saws rather than filling a whole saw till with special circumstance saws. The introduction to the saw nest series is HERE. and ALL the posts are collected together in one HERE. Now it will probably be a while before I put any real thought into my saws again. Of course if they're working for you, you don't have to think about them.